Minnesota-based no-kill organization Feline Rescue helps find the furriest of friends new homes. After the Animal Relief Fund (ARF) closed its shelter in 1997, a group of ARF volunteers decided to form a new organization that included a shelter facility, and just like that, Feline Rescue was born. Originally located on Charles Avenue in St. Paul, the organization had a strong group of donors and funds right off the bat, which helped Feline Rescue purchase its current location on Fairview Avenue in St. Paul. For most of its existence, Feline Rescue was staffed entirely by volunteers, but other paid employee positions have been created since 2013. However, Andresen says the volunteers always have been and always will be the lifeblood of this organization. 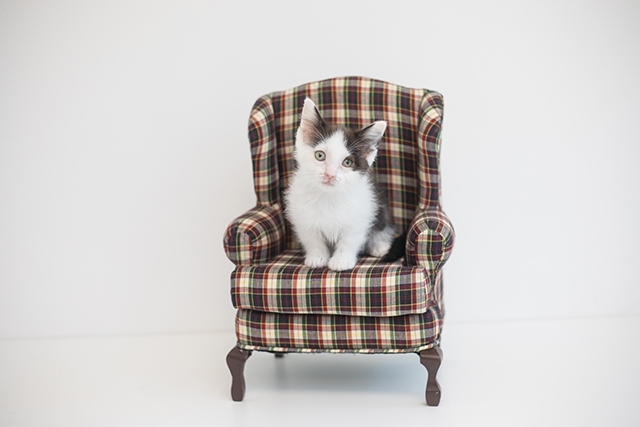 According to the company’s vision and mission statements, Feline Rescue works to make sure that no cat is unwanted by providing shelter, veterinary care, socialization, and permanent homes for each cat. “At Feline Rescue, cats always come first. We believe that teamwork and collaboration are critical to achieving our mission. We treat our stakeholders with compassion, dignity, and respect. And we have a lifelong commitment to each cat,” Andresen says. Feline Rescue provides rescue and relief services to all homeless and endangered cats in the community through programs that offer shelter, foster, social and medical rehabilitation, feral and stray management, spay and neuter subsidy, and community education. Andresen says Feline Rescue is always in need of more volunteers for their three programs, as well as administrative, marketing, and other operations. Though they are currently in the process of revising their volunteer application, Andresen says she encourages anyone interested in volunteering with Feline Rescue to provide their information on their website felinerescue.org/volunteering. 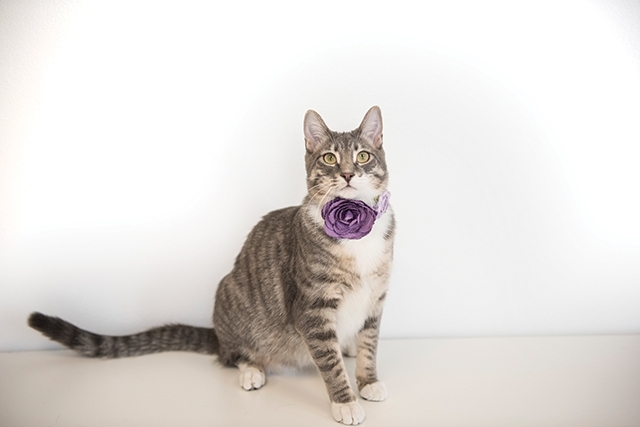 “Up to 70 cats are housed and rehabilitated at our adoption center at any one time. The majority of cats housed at our facility are allowed to roam freely most of the time and are not kenneled. Cats may be kenneled during introductions to a new space, when receiving medical treatment, or during behavioral rehabilitation. We are fortunate that some of our regular visitors stop by on their lunch hour or after work to visit the cats. Some do this daily and have been for years,” Andresen says. She says Feline Rescue works hard to treat each cat as an individual and to keep each cat’s personal needs in mind when caring and sheltering the cats. The volunteers and community members who give their time to Feline Rescue help make this possible. “We work collaboratively with the community to provide resources and assist in retaining cats in the home. A story told today is similar to many I have heard in the past. One of our outreach volunteers was talking about a woman she saw at the grocery store and the woman commented, ‘You’re the lady that helped me 20 years ago!’ The relationships our volunteers have built with community members and other animal welfare organizations are strong and resilient, many lasting to this day,” Andresen says. Feline Rescue invites community members to some of its upcoming events including the 2018 Cat Video Festival on August 8 and Feline Rescue’s annual Glitter Ball on October 13. More information can be found on their website at felinerescue.org/kittencam and felinerescue.org/glitterball. For more general information about Feline Rescue, visit their website at felinerescue.org, their blog at felinerescue.blogspot.com, or visit their Facebook and Twitter pages at facebook.com/felinerescueinc and twitter.com/felinerescueinc.